Providing a responsive experience to captivate a community craving content on mobile and desktop. Working alongside my B-Reel colleagues in Berlin, I provided the art direction for the digital experience. The campaign was shot by Jonas Åkerlund, and features a variety of well-known international talents, all sharing their personal style via Zalando. Since the beginning of time, people have been sharing stories, items, experiences and emotions. No matter what we share, we do it to connect and come closer to one another. 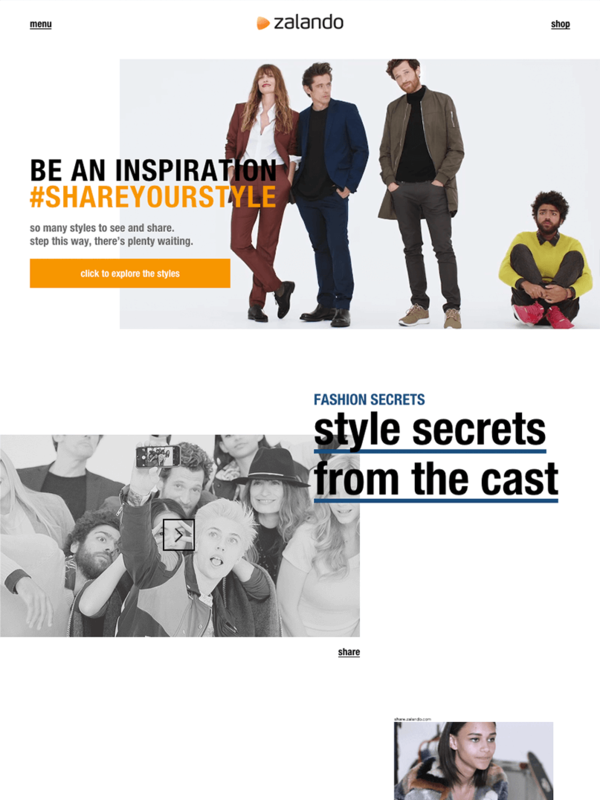 Zalando plays into this great human behaviour with its Autumn/Winter 2015 campaign, Share Your Style.